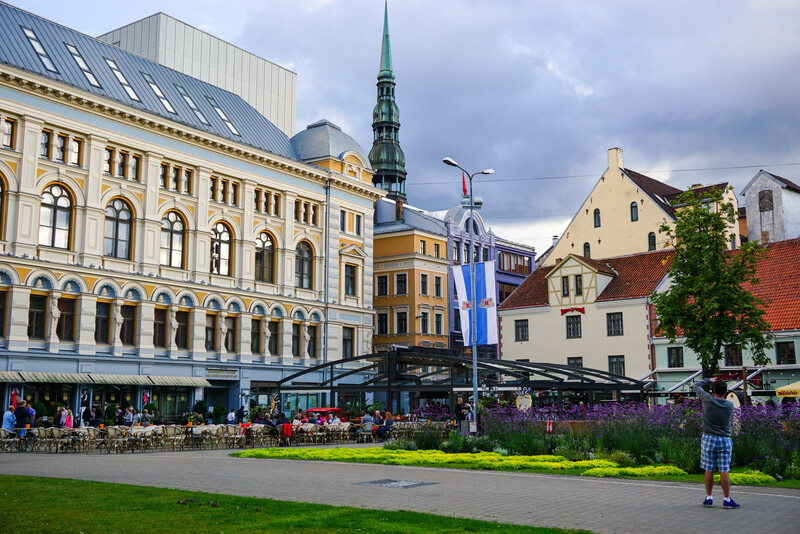 Riga is a wonderful destination that offers something for everyone. From a wide selection of fine beer, lively bars, and chic restaurants with a rustic touch to charming Old Town streets with red rooftops, lovely, steepled church towers, and Art Nouveau architecture. 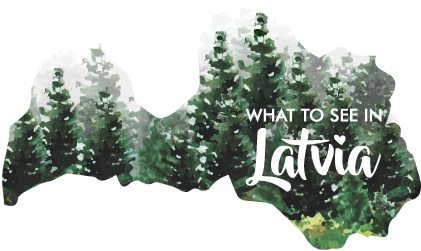 The capital of Latvia has it all and it also has a rich history – who can doubt that if we’re talking about city founded in 1201!? In this article, you will find the ultimate cheat sheet what to see in Riga. But now, let me introduce you to Riga, the capital of Latvia! 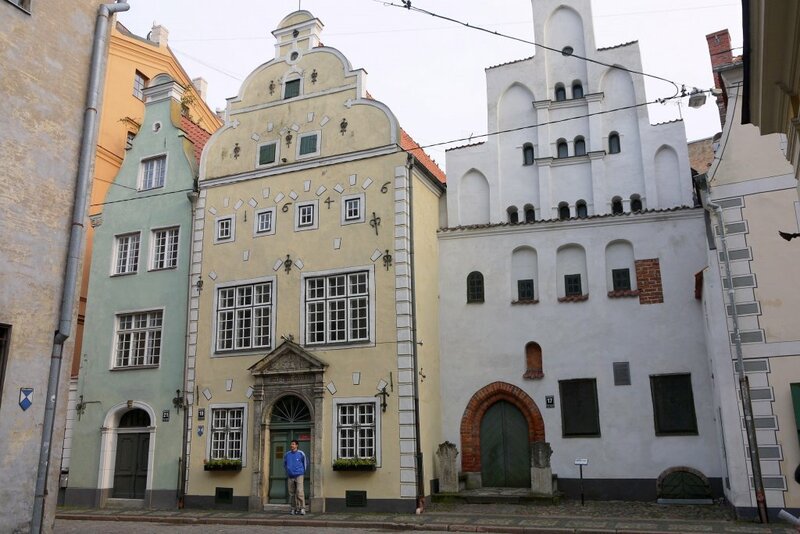 In the Middle Ages, Riga was one of the most developed cities in the Hanseatic League, and it is easy to spot many similarities with Hanseatic cities in Germany and Holland. But the 20th century wrote a painful and brutal page in history for Riga when it became a part of the Soviet Union. Due to which, you can still see the traces of Soviet architecture in the form of huge concrete USSR-style apartment blocks around the city, especially outside of central Riga. Yet it is precisely these historical and architectural contrasts make the city so mysterious and charming. There must be a reason why Riga is sometimes called Paris of North! 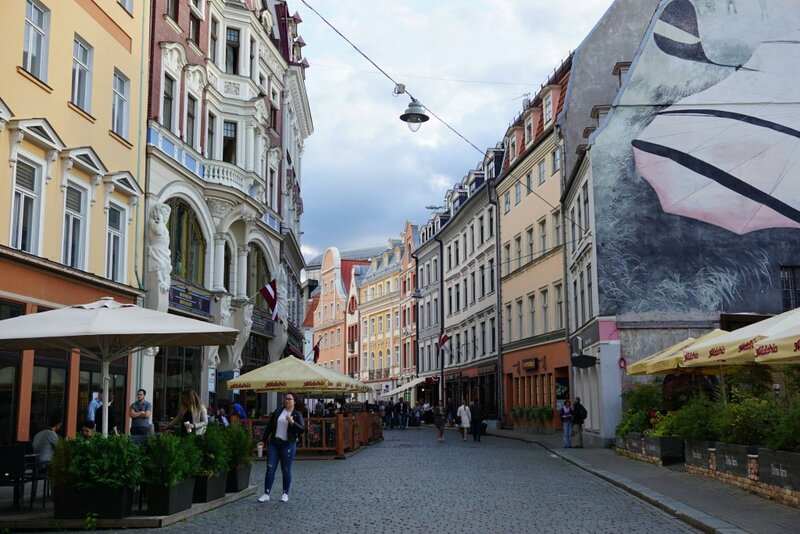 Also, it is worth mentioning that Riga is a fantastic option if you want to plan a budget-minded weekend where you really get the most from your money. Explore the history and architecture of the city, visit art museums, book a divine spa treatment or simply go shopping in one of the city’s shopping centers. Discover your own Riga, and you will be sure to find something that will win you over. It happened to me, my friends – and to many others. I’m going to Riga once every few months and every time I go, I want to return immediately. It can take you by surprise… in the best possible way! Keep reading and get your ultimate cheat sheet of Riga. 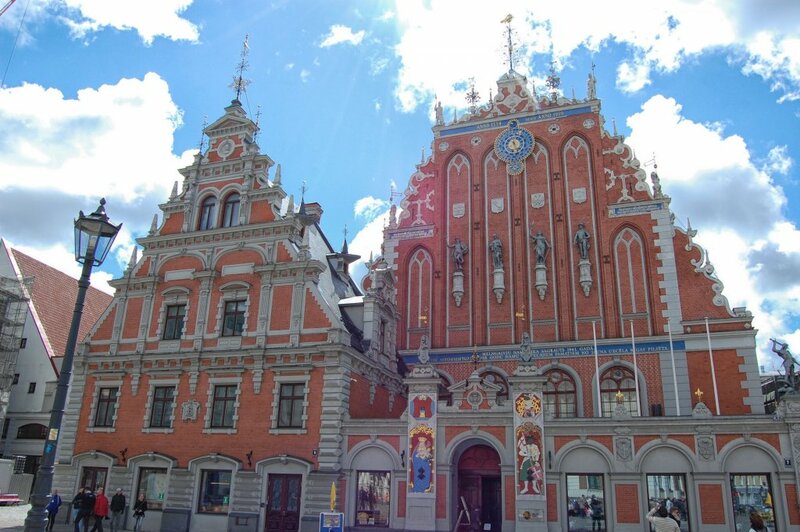 If you find yourself in the middle of The House of Blackheads and Riga City Council, then you are in the Town Hall Square. 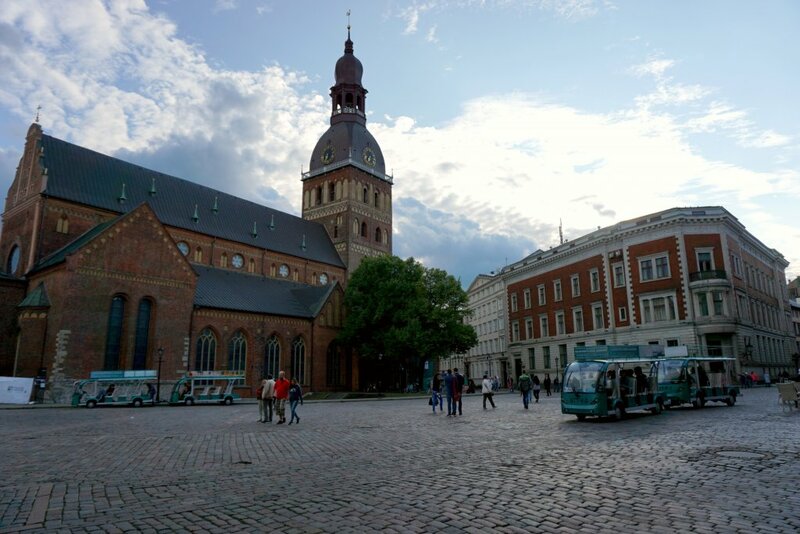 This square is one of the Old Riga’s main squares and was once an open air market for international traders. The House of Blackheads was built in the 14th century and belonged to the Guild of Unmarried Merchants. In earlier days it served as the most prestigious venue in the city. During World War II it was completely destroyed, but has been recently rebuilt and is one of the most attractive sights in Riga. The building reflects Baroque, Renaissance, Classicist and Art Nouveau architecture. Where to find it? Town Hall Square at the start of the main pedestrian street close to the Daugava River. All of these three buildings have been built in different centuries and represent three very different architectural styles. The residential house in Mazā pils Street 17 was built in the 15th century and reflects traces of Gothic and Renaissance tastes. Whereas the middle house dates back to 17th century and is in the style of Dutch Mannerism and features a stone port added in the 18th century. The third house dates back to 17th Century and is built in Baroque style. Where to find it? Mazā pils iela 17, Mazā pils iela 19 and Mazā pils iela 21. 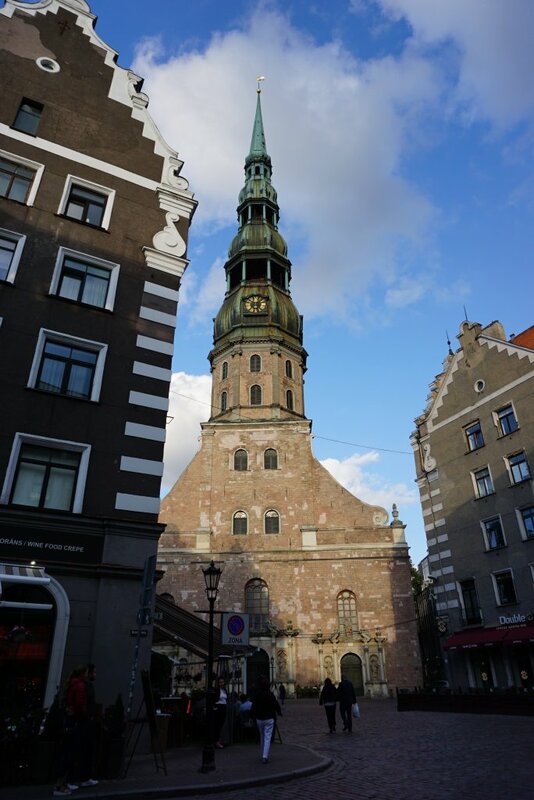 Built in the Gothic architectural style, it was once the tallest wooden building in all Europe, and remain the tallest peak in Riga to this day. If you feel like enjoying a great panorama over the Old Riga’s charming squares, streets and the Daugava river, take a lift up to tower. Where to find it? Skārņu iela 19. When it was built in the 14th century it was called Sand Tower, but it received its new name in the 17th century because there was gunpowder kept in the tower. 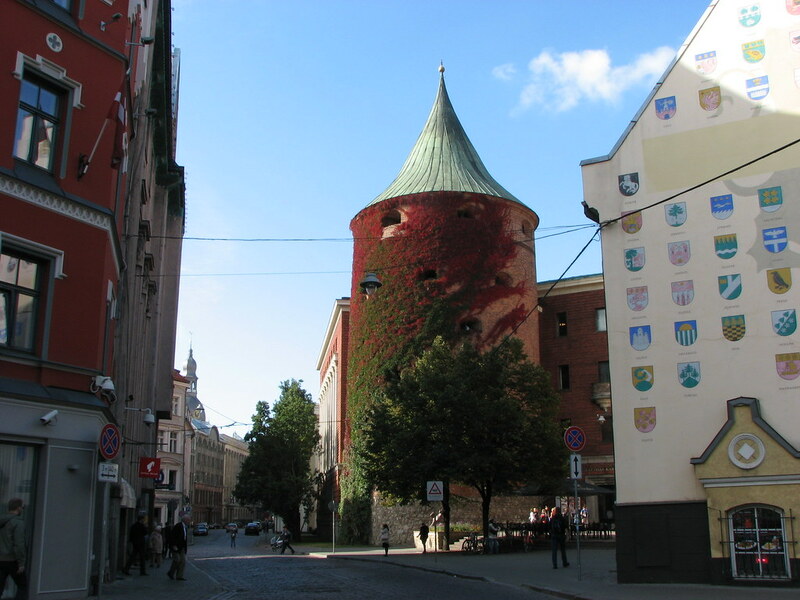 Nowadays Powder Tower serves as a War Museum and its exhibitions are displayed Riga’s medieval and modern military history. Museum entrance is always free. Where to find? Smilšu iela 20. The largest medieval church in the Baltic States was built in 1211 as Bishop Albert’s Cathedral and once was known for the largest organ in the world (!). The organ is still used for concerts and has about 6700 pipes. Dome Cathedral represents a dizzying mix of Romanesque, Gothic and Baroque architecture. These éclairs look too good to be eaten. Yes, I know éclairs are originally French, but in childhood, all Latvians used to think they were a Latvian treat as they were sold in almost every corner bakery. Fat Cat has gone further and made something more than just chocolate éclairs from our childhood. What you will find in this café, are mouthwatering masterpieces, that are made only from natural ingredients. 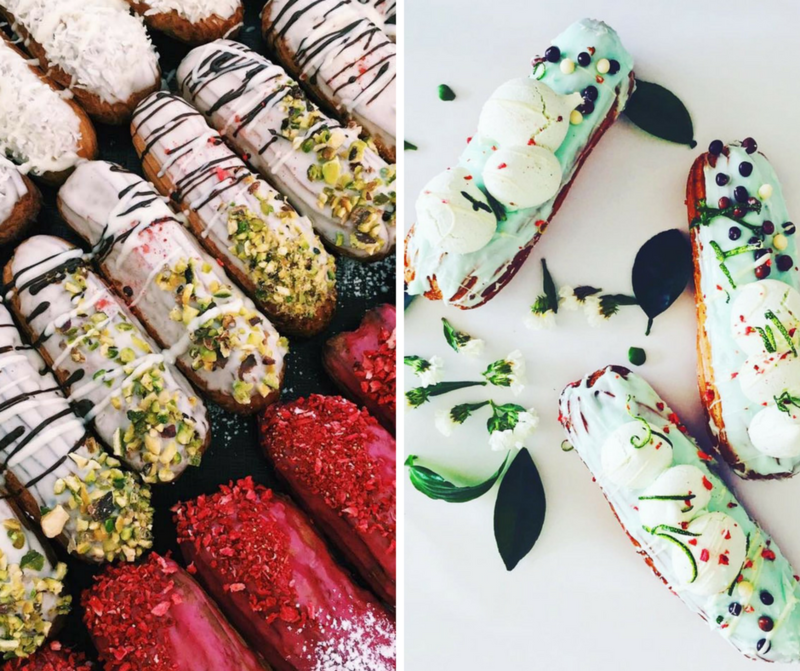 I’m especially happy about the fact that every time visiting Fat Cat, I discover some new tastes as they offer more than 200 types of éclairs – usually around 25 different tastes a day. I believe the pictures below will describe better why this cozy éclair place is on my favorite list. 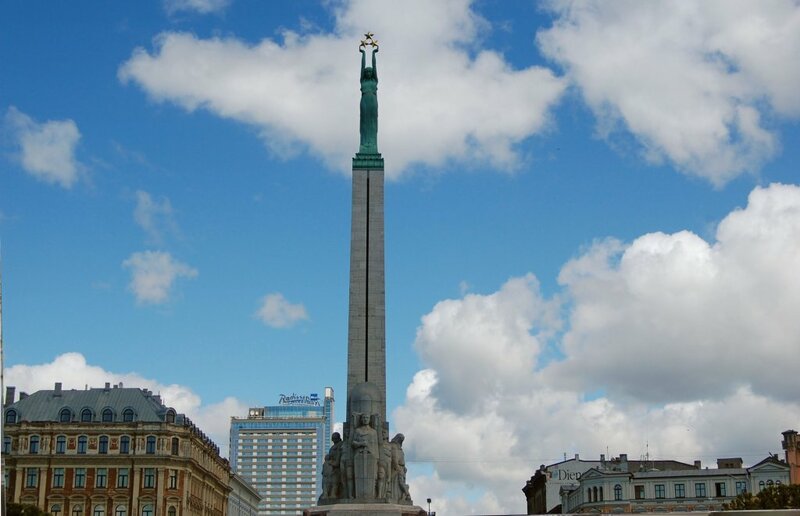 #7 Freedom Monument – A symbol of Latvian independence. Probably this is the most iconic sight in Riga, and moreover, it means a lot to every Latvian. If you haven’t seen it, you just haven’t been in Riga! This symbol of Riga was built in 1935 and fully financed by public donations. On the base of the monument, it says “Tēvzemei un brīvībai” (“For the Fatherland and Freedom”). #8 Laima Clock – What does chocolate have to do with love? Quite a lot, I would say! And so did think the couples that met for a date by the Laima Clock. This place is probably the most romantic spot in the capital – famous for meeting your date since 1924. 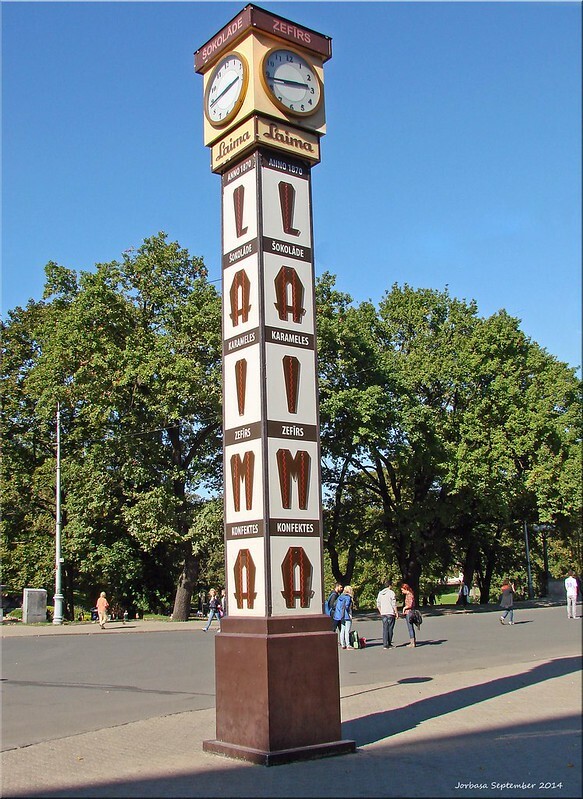 Laima holds the name of the clock and it is the most popular confectioner in Latvia and its name has been on the clock since the 30’s and for some reason, this place became very popular for meeting your date. And Latvians still like to do it old fashioned way – it is nothing unusual to see a guy with flowers standing by Laima Clock waiting for his girl. This destination requires no comment. 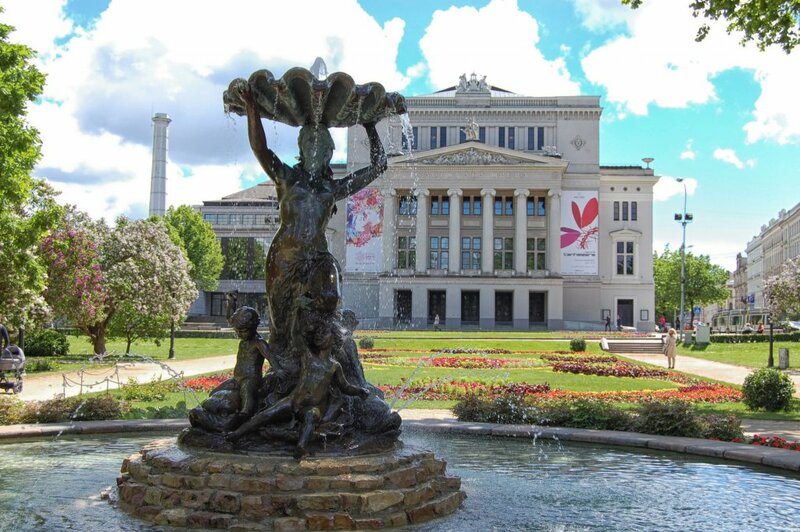 This is where Latvians come together and enjoy world class opera and ballet. When Latvians go to opera, ballet or theater performances they always dress to impress, which makes for a wonderful spectacle. 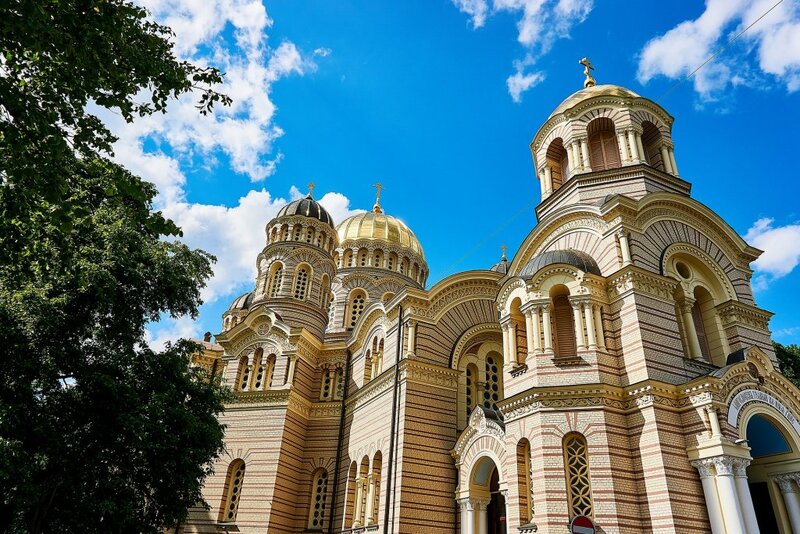 If you are into shiny things, then you’ll really like the exterior – and interior – of the largest Orthodox church in the city. Beneath its golden domes, you will find many impressive paintings and icons. #11 Alberta Street – a street every architecture lover must see. 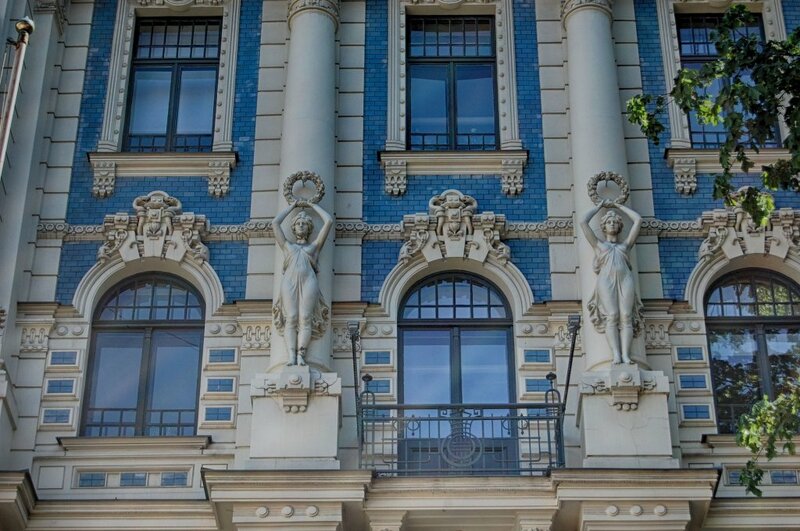 Alberta Street is one of the reasons why Riga is proud to call itself Northern Europe’s Art Nouveau Capital. 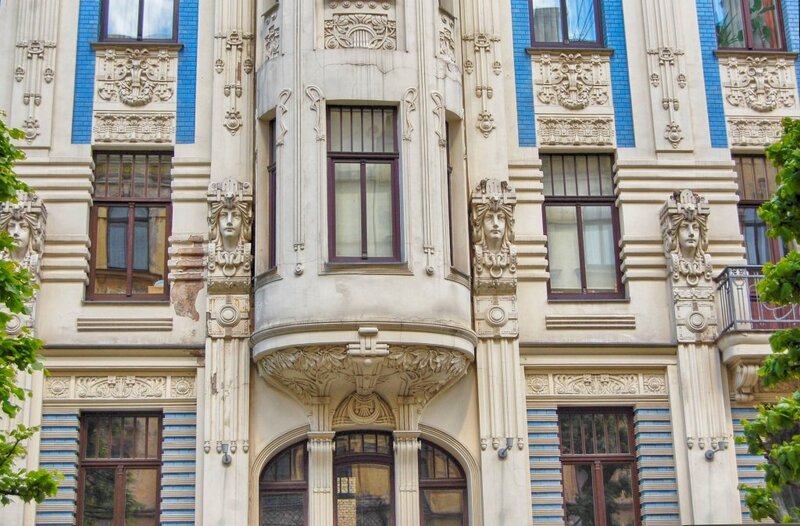 In this street, you will see an impressive concentration of the Art Nouveau architectural style. So be ready to take dozens of pictures! Another nice spot in the neighborhood is Art Café Sienna. 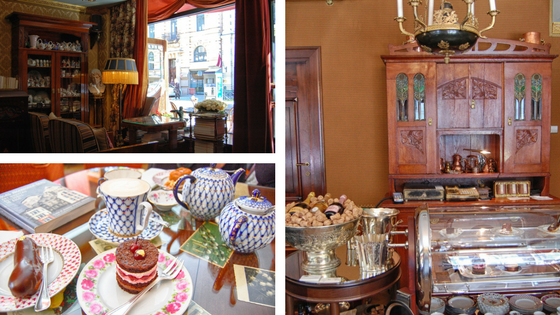 When you are tired of looking up at the tall buildings, stop by – it may be more pricey than the usual cafes in Riga, but it has an amazing vibe – something old-fashioned, retro classy and yet so cozy. Probably this is the best place to be on Saturday morning. This wooden building is a UNESCO heritage site, but I personally love it for the Saturday morning market, when the Kalnciema Quarter is filled with local products and crafts. Also here you can taste real Latvian wine, cider, homemade cheese and special Latvian crafts, as well as some delightful Latvian design items. This place also has a secret restaurant, wine shop and regular live music concerts. Check their website to find out what’s on. If you love retro cars, this place definitely must be on your checklist. Three floors house a great collection of cars including ancient vehicles and legendary race cars. 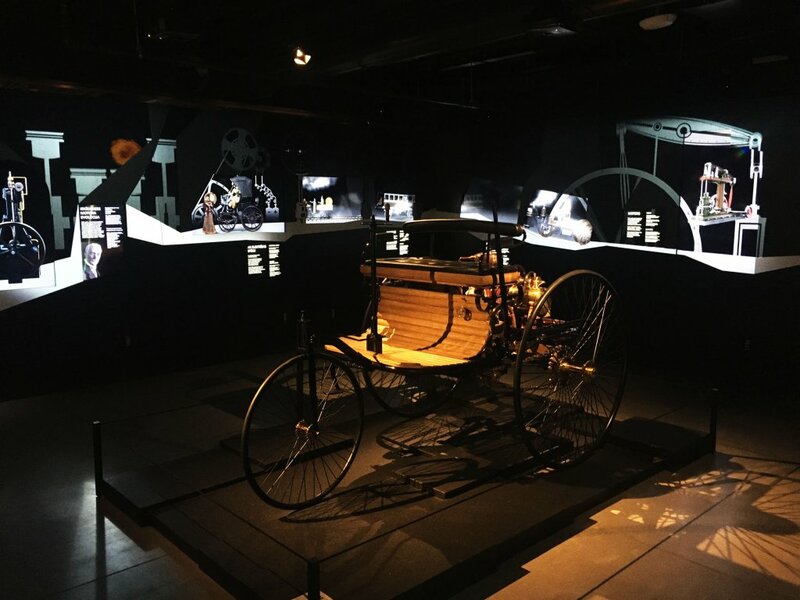 The cars – and more than a hundred interactive screens – will keep you busy for hours. Where to find? Sergeja Eizenšteina iela 8. Check out the working hours here. If you feel bored by the typical souvenir shops, then this is the place for you. 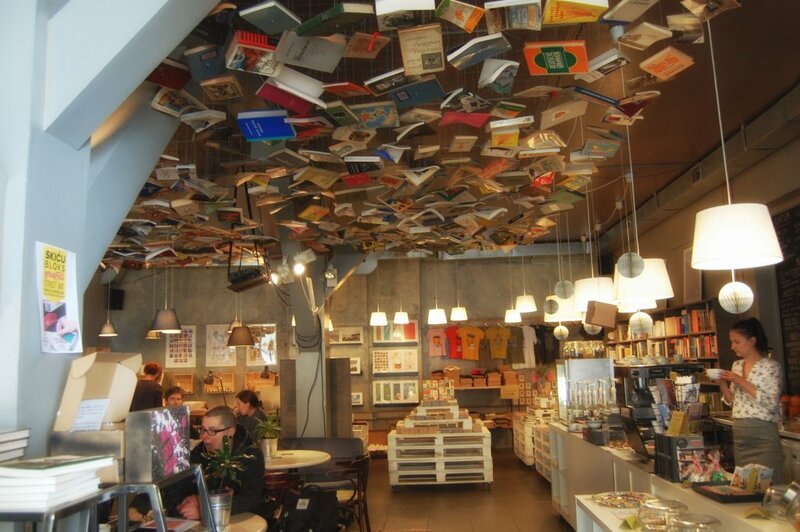 NicePlace is a bookshop/café where you can buy Latvian literature masterpieces translated in English, some cool teas or a few interesting souvenirs. Or you can just drink your coffee latte in a cozy artistic atmosphere while artists busy themselves in the corner of the room making new masterpieces! I hope you will enjoy your stay in Riga!